Before joining Niborama, Nicole was an Editorial Intern at ARTnews Magazine, where she then became an Editorial Assistant. She currently works for the Art Dealers Association of America, where she develops content for their blog and manages their social media presence. Previously, she worked as an Editorial Associate for caribBEING, writing articles on Caribbean art and cinema for their website, and as a contributor to The Tottenville Review. Raised in both Queens and New Jersey, Nicole has a master’s degree in English Literature from Brooklyn College, where she focused on Modern Periodical Studies and concentrated on understudied women editors. She blogs on Culture Grinder. Alex currently works as an Editorial Intern at ARTnews Magazine and as an Assistant Web Admin and Editorial Assistant for Tennis Magazine. Prior to that he worked as an artist assistant to the Czech artist Kristof Kintera, and as a personal archivist to the conceptual artist Henry Flynt. Born and raised outside Boston, Massachusetts, Alexander graduated from New York University with a concentration in Contemporary Art and Print Journalism in May 2013. His interests include tennis, fashion, popular culture and art with a conceptual or social justice bend. He has been published in New York University’s Ink & Image Magazine, Tennis Magazine, and on ARTnews.com. Nechama currently works for ART21 as their film screening coordinator and as a curatorial research assistant for a private art collection researching and digitizing vintage postcards. Prior to these positions, she interned for Artis Contemporary, chashama, and the Pratt Center for Community Development. Born in Brooklyn and raised in Long Island, Nechama graduated from CUNY Hunter College with a dual major in Art History and Behavioral Neuroscience with honors in each concentration. She has as an interest in documentary filmmaking and photojournalism, likes to spend time learning and writing about art and social practice, and is currently focused on the contemporary Israeli art scene. 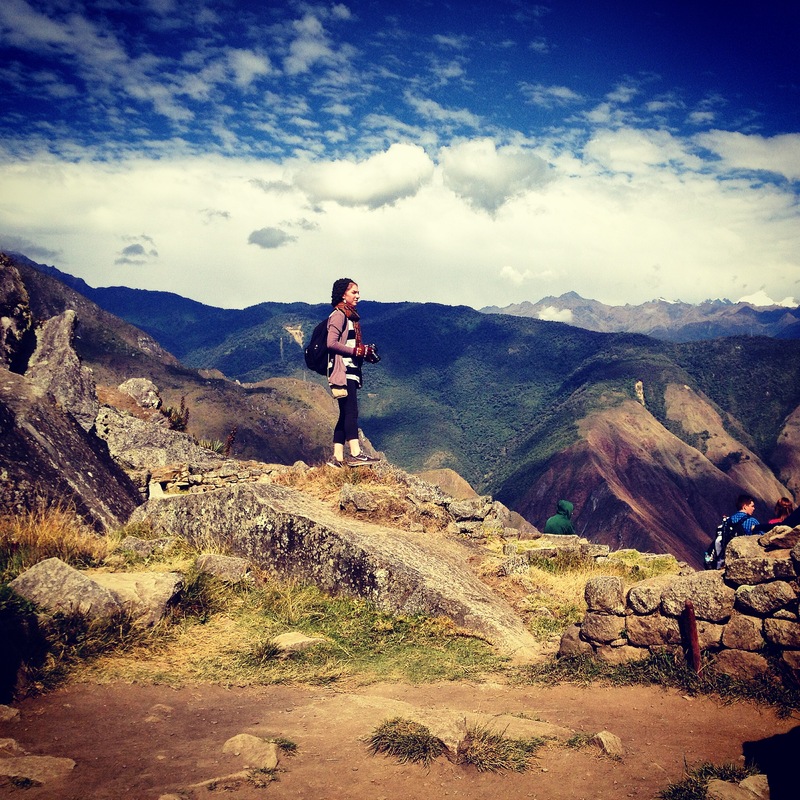 When Nechama is not practicing yoga or taking photos with her iPhone in the City, she takes advantage of every opportunity to travel and photograph on volunteer trips around the world that work on projects with a focus on social justice. Nechama invites everyone to follow her on Instagram and Twitter to see where her latest adventure takes her next. A former Editorial intern for ARTnews Magazine, Naiky is a sophomore at Parsons The New School for Design with a focus in Architectural Design. Born in Dominican Republic, Naiky moved to New York in 2011 to pursue a career in architecture, and in the process became a fine artist; working with painting, drawing and sculpture. Naiky works at Parsons as a high-school mentor and teacher assistant for the Parsons Pre-college scholars program, from which she graduated in 2013. She is also an active member of muralist group Cre8tive Youth*Ink. Monique is a recent graduate from Brooklyn College with a degree in Communication and Media Studies. A native of the island of Jamaica and a current resident of Brookyn, Monique worked as an Editorial Intern at ARTnews Magazine in Summer 2013. She also interned at caribBEING and The Flatbush Film Festival as the Programming + Creative Development Associate, where she managed social media channels, developed marketing materials, and assisted with event management. Her interests include gallery crawls and documentary filmmaking. Monique directed her first bio-documentary, Missing Melodie, at Reel Works in 2008. Alicia is a former ARTnews intern and one of the founding members of Cre8tive Youth*Ink’s Art School Without Walls. She currently works at the Children’s Museum of the Arts as a Teaching Artist, working at the museum’s clay bar and assisting in the Media Lab. She is a student at Hunter College where she pursues her interests of advertising, sociology, and graphic novels. Born in St. Petersburg and raised in Mexico City, Alicia likes to connect her artwork back to her multicultural Cuban, Russian, and Mexican roots. Ava is a former ARTnews Editorial Intern. She studies French and Psychology at New York University and writes for the student blog NYU Local. She also works as a research assistant in New York University’s psychology labs, volunteering with studies focusing on cognition and memory. She recently spent a year studying in France, where she spent many an afternoon exploring the vibrant Parisian art scene. Ava was born to Iranian immigrant parents and raised on Long Island, in a town occasionally called West Egg. She is often found tweeting about futbol, her early experiments in cooking Persian cuisine, and gallery crawls with other Niboristas. Rachel is a former Editorial Intern for ARTnews. Rachel is a Long Island native and recently finished her undergraduate education at Union College where she majored in art history and minored in English and German. Prior to her involvement with Niborama, Rachel also interned at Jason McCoy Gallery and the Nassau County Museum of Fine Arts. This fall, she is beginning her masters degree in art history at the School of the Art Institute of Chicago. Her interests include popular culture, film studies and modern and contemporary art specifically dealing with issues of gender and sexuality. Eva is a Gallery Guide at the Solomon R. Guggenheim Museum and a Curatorial Fellow at the Bronx Museum of the Arts. After graduating from the University of Washington, Seattle, she moved to New York City to focus on art education. Since then, she has worked with numerous museums, galleries, and non-profit art organizations. In addition, she develops social media content for Third Streaming. You can find her gallery hopping on Instagram and blogging at evamayha.com. Robin (aka) Nibor created Niborama.com as the art blog of Cre8tive YouTH*ink, the youth-development nonprofit where she directs the Gallery Club. A native of Long Island, Robin studied art history at Yale. She interned at several art museums, including the Hirshhorn and the Metropolitan Museum of Art, before launching her career in cultural journalism. She was an assistant editor at Artforum, a contributor to the Spanish news service EFE, the arts editor of the Jewish Forward, and a longtime staff member at ARTnews–where she first ran the news section, winning several awards for investigative reporting, before serving for 16 years as executive editor. She is proud of founding and directing the ARTnews internship program, which produced several Niborama staffers. Robin can be found at her usual haunts on Instagram, Twitter, and Tumblr, or leading her niborista crew on gallery crawls.